Siemens Combustion Controls (SCC) ranks among the most reputable manufacturers of boiler/burner auxiliary equipment in the modern market, and ATI can highly recommend their products as durable, safe, efficient, and environmentally friendly. Siemens Combustion Controls makes all manner of specialized equipment to enhance the safety, performance, and efficiency of commercial/industrial boilers and burners. 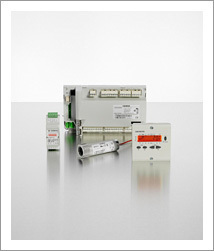 Their products feature modular design, high compatibility across systems, easy installation, and long dependability. SCC makes a large line of quality components, all of which undergo rigorous quality/performance testing, including: gas/oil shut-off valves, gas butterfly valves, temperature/pressure controllers & sensors, air actuators with couplings and brackets, differential pressure transmitters, pressure switches, flame detectors, touchscreen kits, variable frequency drives (VFDs) and VFD feedback sensors, draft control systems, gas flow meters, and more. To learn more about these and other combustion system components built by Siemens and what makes their products stand out as superior, see their interactive website diagram. LMV3 is a linkageless burner management system that achieves exceptionally high burner performance/efficiency while maintaining fully safe operation. It sets new standards for cost-effectiveness in single/dual burner controls, is easy to install, program, and use, and comes with a fully integrated flame safeguard. The LMV5 offers an easy to adjust fuel-to-air ratio curve, 15 programmable points and four independent positions, a user-friendly interface that speeds up programming/commissioning, and worldwide technical support. 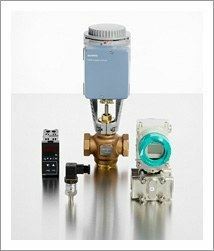 It comes in two basic versions: LMV5-1, which integrates linkage control, flame safeguard, and modulating-PID control and controls up to three actuators at once; and LMV5-2, which gives you the option of O2 trim, VFD control, or both and can control up to five actuators at once to yield maximum efficiency in low-NOx burners. 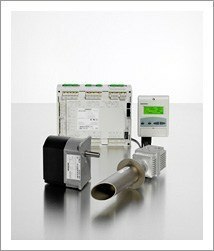 Siemens' electronic water-level control system maintains a consistent water level in your commercial/industrial boiler to ensure reliable operation and optimal efficiency. It also gives you the advantages of minimal boiler-water carry over, reduced wear to your feedwater pump, and reduced risk of thermal shock to your unit. Improved operation and a longer lifespan are the results.